The American Library Association (ALA) today announced six books shortlisted for the esteemed Andrew Carnegie Medals for Excellence in Fiction and Nonfiction, awarded for the previous year’s best fiction and nonfiction books written for adult readers and published in the United States. The two medal winners will be announced at RUSA’s Book and Media Awards Ceremony (BMAs) sponsored by NoveList, during the ALA Midwinter Meeting & Exhibits in Denver, Colorado, on Feb. 11, 2018. As always, RUSA will unveil the winners of the Notable Books List, Reading List, and Listen List selections for best in fiction, nonfiction and audiobooks, and the best reference sources for adult readers. 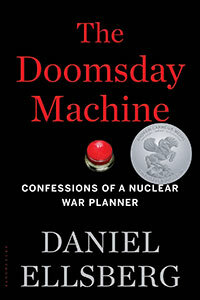 “The Doomsday Machine: Confessions of a Nuclear War Planner,” by Daniel Ellsberg, published by Bloomsbury. In a gripping mix of memoir and exposé, Ellsberg recounts with searing specificity long-hidden facts about the U.S. government’s perilously inadequate control of nuclear weapons—an arsenal that endangers all life on Earth—and calls for the dismantling of this Doomsday Machine. 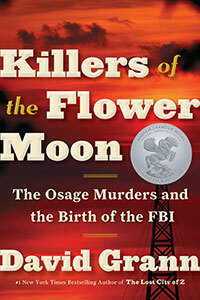 “Killers of the Flower Moon: The Osage Murders and the Birth of the FBI,” by David Grann, published by Doubleday. Grann’s true-crime history takes readers to early-1920s Oklahoma, where oil was discovered beneath the Osage territory and where members of the Osage Indian Nation were murdered, a riveting story that includes the accruing of power by J. Edgar Hoover and the FBI. 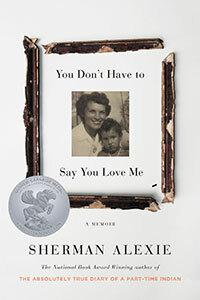 “You Don’t Have to Say You Love Me: A Memoir,” by Sherman Alexie, published by Little, Brown. Alexie presents a courageous, enlightening, anguished, and funny memoir told in prose and poetry that pays tribute to his Spokane Indian mother and reveals many complex traumas and tragedies of reservation life, as well as his own struggles. 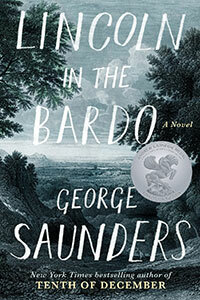 “Lincoln in the Bardo,” by George Saunders, published by Random House. Saunders’ boldly imagined, exquisitely sensitive, and sharply funny historical and metaphysical drama pivots on President Lincoln’s grief over the death of his young son, Willie, as the cemetery’s dead tell their stories in a wild and wily improvisation on the afterlife. 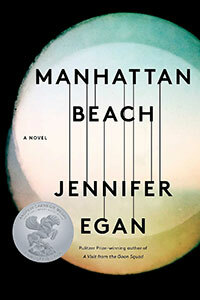 “Manhattan Beach,” by Jennifer Egan, published by Scribner. From New York mobsters to the first woman diver at the Brooklyn Naval Station during WWII to the archetypally motley crew of a merchant-marine ship in U-boat-infested waters, Egan’s insightful and propulsive saga portrays complex and intriguing individuals navigating the rising tides of war. 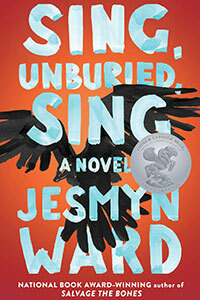 “Sing, Unburied, Sing,” by Jesmyn Ward, published by Scribner. In telling the story of a Mississippi family––brother and sister Jojo and Kayla and their troubled mother, Leonie, and their legacy of grief and spiritual gifts, Ward explores unresolved racial tensions and the many ways humans create cruelty and suffering. A novel that is, at once, down-to-earth and magical.